A couple of weeks ago I was in Vicenza, arriving by train in time for lunch at a great little trattoria recommended to me by the local carabinieri. I’d had to go to the police station to show them my driving licence after a terrible incidente (not my fault) on the autostrada: it’s nothing short of a miracle that I’m still alive. The consolation was a fantastic lunch at the Boccon Perfetto where several tables were occupied by policemen. It could have been a scene from Montalbano. 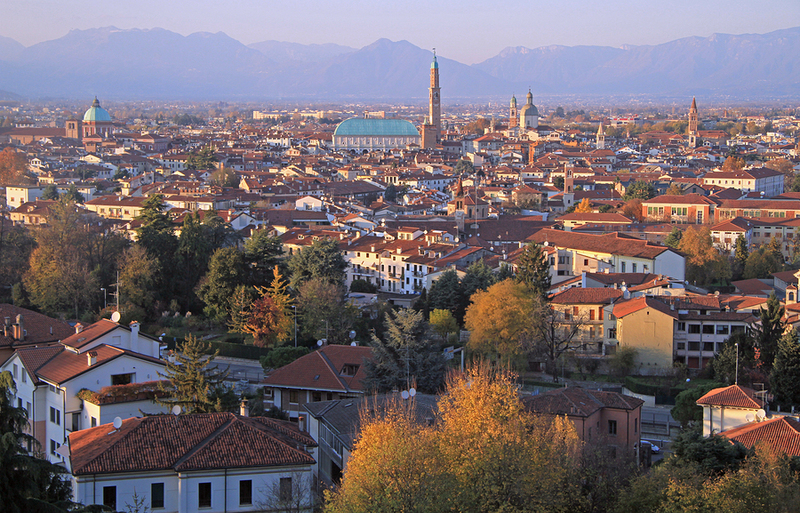 Visiting the town of Vicenza at any time of year is always a treat. Not only was it the home of Andrea Palladio and has a greater concentration of buildings designed by him than anywhere else in Italy; it is also – unlike nearby Venice – not overcrowded with tourists. There are elegant streets of interesting shops, complemented by palazzi and fine churches. Possibly the most famous building is the Teatro Olimpico, the first theatre of the renaissance, designed of course by Palladio. The interior is still used, a cross between a (covered) amphitheatre with its semi-circular stepped seating, and a more traditional theatre with a stage and scenery. The scenery is in fact a marvel in itself with a wooden street receding in perfect perspective into the distance. Palladio’s great central hall, known as the Basilica Palladiana, is in a beautiful old piazza, so that there is space to stand back and examine the way in which he adapted the massive gothic core by adding an outer shell of marble classical forms, a loggia and a portico. It was begun in 1547 but not finished until 1614, 30 years after Palladio’s death. This magnificent building is not usually open to the public, but there is at the moment a perfect opportunity to see the interior where an important exhibition of Van Gogh’s life and work is on display until April 8th 2018. The show covers Vincent Van Gogh’s early years of suffering in the gloom of the Borinage in Holland, depicting poor agricultural labourers going about their daily toil. It then moves to 1880-90, a decade of frantic activity in the south of France where he delighted in colour and spent some months with Gaugin. His brother Theo continued to support him all this time: many of his letters are reproduced on the display panels. 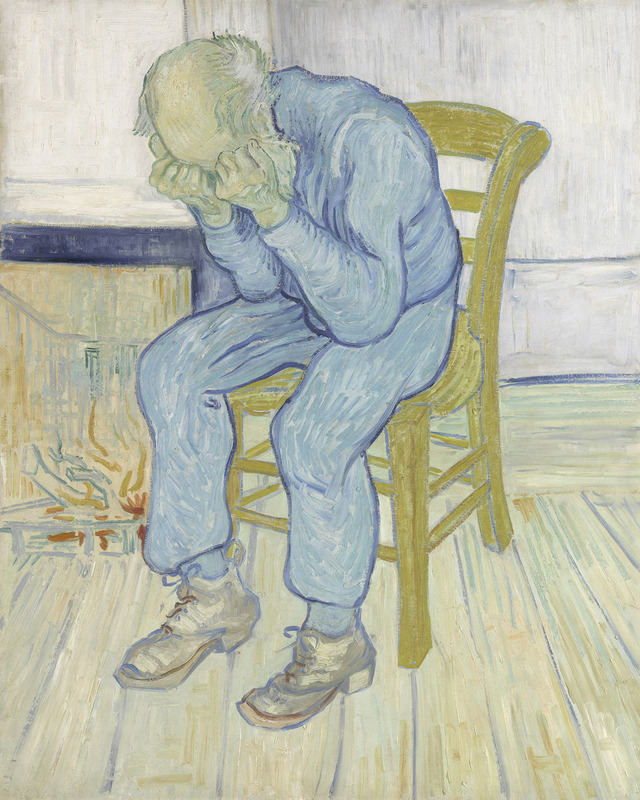 Sadly, in his lifetime Van Gogh only ever sold one painting, and his mental health was very unstable, spending a year in the mental hospital of Saint Paul de Mausole. There is a large model of this institution as a part of the exhibition. 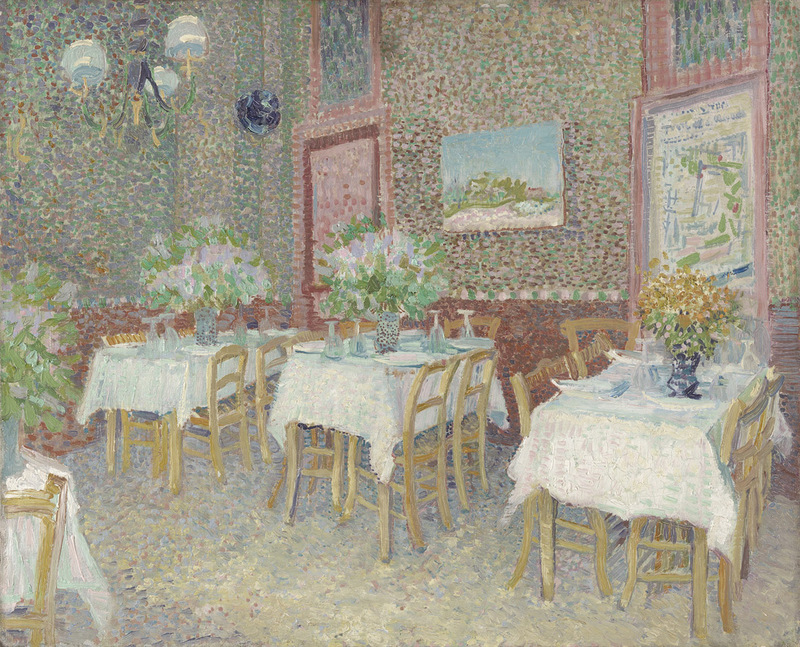 It must have been an enlightened form of treatment, surrounded as it was by lovely gardens which Van Gogh painted. One fateful day, Vincent received a letter from Theo telling him that he was about to be married. We can only guess that this provided the tipping point when Van Gogh must have realised that his brother would no longer be able to support him. At the age of 27 he had told Theo that he wanted to be a painter, but ten years later he took his own life. If I have one reservation about this world-class exhibition, it is that Italian is the only language used throughout, apart from audio guides. There are no leaflets, even in Italian, and no translations of the very detailed information panels on the walls in every room. Even the excellent hour long film (free) shown at the end of the exhibition is only in Italian without even subtitles. I think lots of tourists of many nationalities will be disappointed not to be given access to more information. Despite that reservation, it is a wonderful exhibition, and well worth a day in Vicenza. 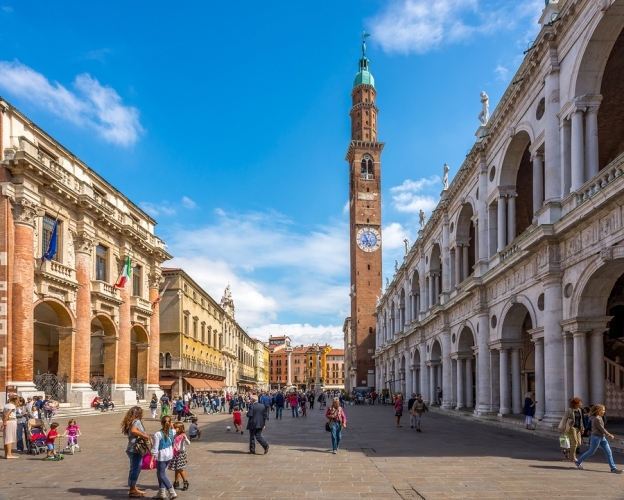 Vicenza makes the perfect day trip or weekend getaway from Venice, trains run from Venice to Vicenza in under an hour.